NEW WESTMINSTER, BC – Steel & Oak Brewing has announced details for a special event it will be hosting in its tasting room during New West Pride Week. SOPROUD will be taking place on Tuesday August 14th from 12:00 noon to 9:00 PM, and will feature the launch of two new beers – Pinot Pilsner and Mango Strawberry Quayside Pale Ale – with 100% of the proceeds for by-the-glass sales that day to be donated to New West Pride Society. 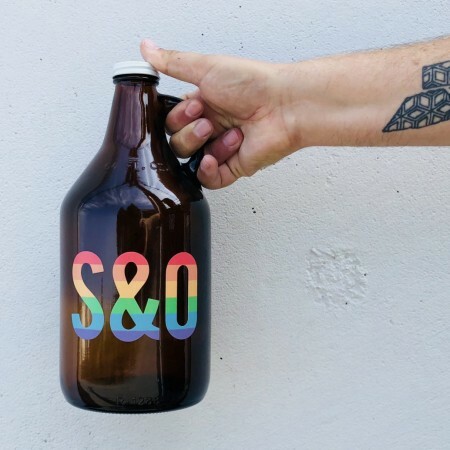 A limited edition Pride growler (pictured above) will also be available to purchase for $6, with all proceeds also going to NWPS. For more details, see the full announcement on the Steel & Oak website.